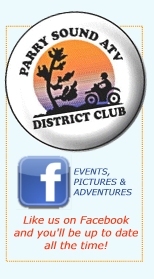 Hey there's a reason that the Parry Sound ATV Club is Ontario's Largest ATV Recreational Club! 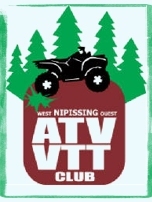 Lots of year round rides with friendly folks who like to experience true ATV adventure in Ontario. 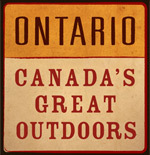 Riding with experienced ATVers and seeing trails right across Ontario and becoming intimate with the Georgian Bay trails.? a light social atmosphere that is purely recreational ... no trail building pressure here.? Affordable and a lot of fun! 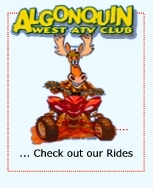  Pick whatever activity you want to join in on and count on pure ATV excitement from the club that knows how and where to get the best ATV time going! $50/ Year Full Membership - WOW!